Man and Superman is one of those plays where you leave and desperately wish to be able to pontificate on life, the universe, and everything with the merest fraction of wit and intelligence as the characters in it. I feel a sense of guilt and shame at not being up to opening this review with a deft rhetorical contradiction or some infinitely pleasing bon mot. How could I do the play justice otherwise? Man and Superman is the herculean effort of 19th and 20th century cultural juggernaut George Bernard Shaw. It is an immense play in length and depth, boasts one of the longest parts in English theatrical history, and through no part of the runtime of this hulking behemoth of a play did my attention waver. Man and Superman is simply superb. 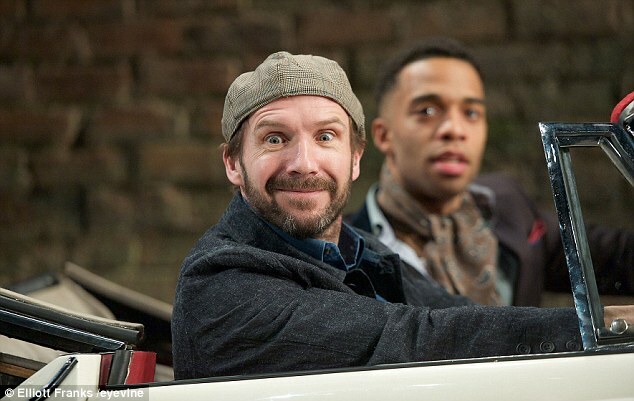 Anyone with the remotest exposure to the promotional material will know that Ralph Fiennes is in the main role. His face is plastered across the posters and he was a major driving force behind launching the production with director Simon Godwin. He takes on the task of playing Jack Tanner, an anarchist revolutionary and self-styled modern Don Juan. The show holds the audience in anticipation of the actor and his character finally launches himself after the opening dialogue, bursting forth from the central doorway. My initial reaction was more bemused than I had expected. Tanner was not as I expected. This notoriously verbose character was rocketing through his lines, and Fiennes was weirdly pivoting on his pelvis as he gesticulated wildly. I was a little taken aback. And then I got to see the character emerging through these rather off-kilter features. 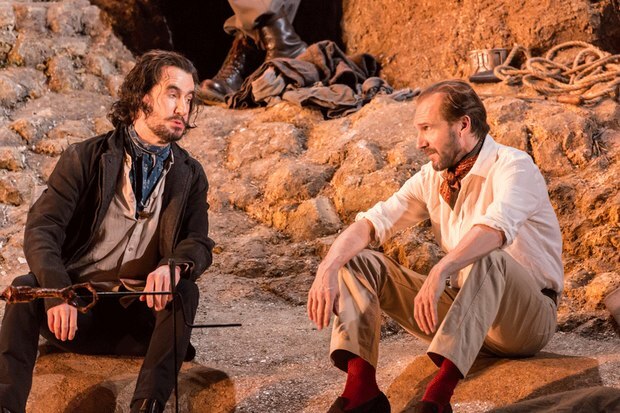 Tanner, as played by Fiennes, is bursting with energy, but is also constraining himself due to his overriding ‘moral passion’. He speaks quickly because he has much to say and moves wildly because he has much to express. The bizarre rhythm of speech and movement is Fiennes’ externalising of Tanner’s tumultuous conflict of temperament. The play itself was a surprise. My previous experience of Shaw has focussed on his more dour works. Here I was treated to a play that was typically thoughtful, ambitious and philosophical, and also side-splittingly funny. 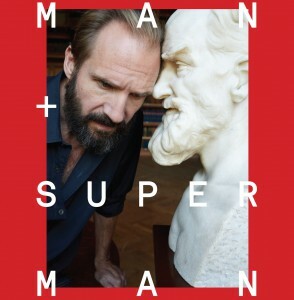 Man and Superman sees Fiennes exercising the tremendous comedic abilities seen in The Grand Budapest Hotel. Even with the high-mindedness of his character, he fits in some deftly orchestrated mugging too. But this is not a one-man-show. The thrust of Man and Superman, on its narrative level, is that Jack Tanner must escape the responsibility of guardianship of Ann Whitfield, a young woman who has her own intentions for him. 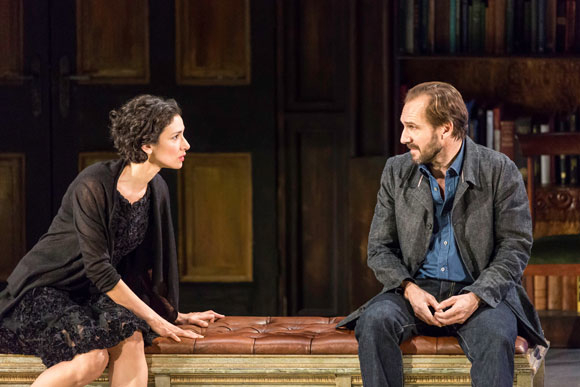 Ann is every bit a match for Jack and there is no question it is the case as much for the actors, with Indira Varma (my, isn’t she dominating the stage lately?) holding her own against Fiennes with a much smaller part. There’s simply not enough time or space to enumerate every virtue of the play. Its unabashed ambition for including the oft-omitted third act, the balls-out intellectualism of it, the nifty staging that allows the easy segue between physical and abstract, the rapid fire witticisms of the entire cast, the subplots you could hang another entire play on, the smooth lilting of Tim McCulloch’s voice as he recites bad love poetry as charming sierra bandit Mendoza. Yes, a bandit! The play darts from parlours, driveways and hotels to the expansive Spanish sierras with brigands, anarchist revolutionaries and bickering social democrats. And thence to Hell. It’s so difficult to sum it all up. Should I try piecing together Shaw’s difficult view of women? Or discuss the titular allusions to Nietzsche’s übermensch? Or draw out the text within the text, The Revolutionist’s Handbook? This is one of the richest plays in the national canon and one of the National Theatre’s standout productions. It is a struggle to do it justice. Verdict: Man and Superman is bountiful with astounding ideas. It is not afraid to show its substantial credentials and is funny as hell to boot. Go and see it. 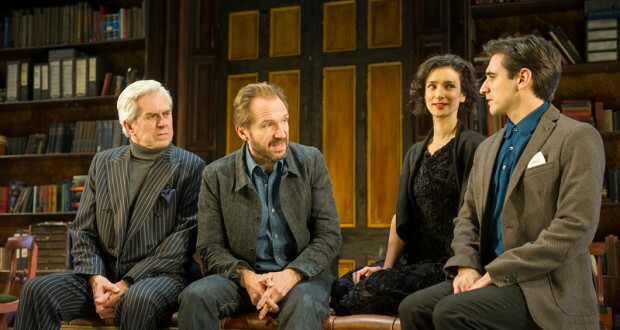 Man and Superman is being staged by the National Theatre and broadcast via National Theatre Live.